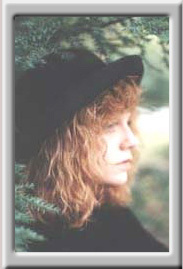 Rhonda Hanson is a recording artist, songwriter and novelist. She makes her home in the Nashville, Tennessee area and divides her time between "Father", her family, her friends, writing, music, hiking, counseling and both scowling at and defending her Macintosh. To learn more about Rhonda, click on her photo.